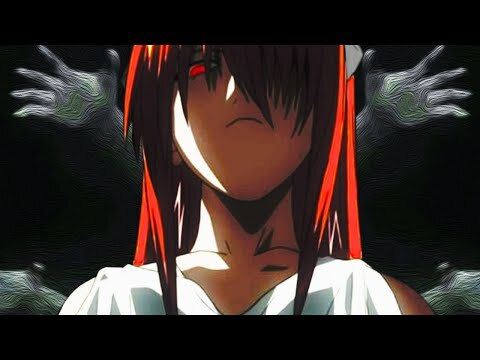 Clip "Lucy's memory" (Elfen Lied) によって cosband "Carrot Juice"
Do あなた want a 秒 season for the anime? Do あなた think is too late for another season? Who's the most annoying to you? Who is the best diclonius? What Happened to Lucy/Kaede on the end of the Anime? 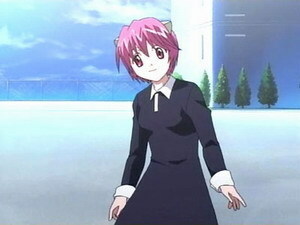 What do あなた think about the storyline of Elfen Lied? Why is the Moka version of Lilium called this way? do あなた tink that lucy is alive? Jolt: *Notices a group of black helicopters being followed によって a news helicopter* Mayu, do あなた like flying? Mayu: *Wakes up, yawning* Yeah...kind of...why do あなた ask? Nana: *Sitting in the back seat* Bumblebee, I think あなた need a new vehicle mode. Onslaught: Motormaster, did あなた destroy the Autobot HQ in Maine? Onslaught: Excellent. We shall avenge our Lord Megatron! And...we shall destroy Optimus Prime and the Autobots! Optimus Prime: Everyone, we have to delegate to find Motormaster! Hound, Bumblebee, Drift, Slingshot, あなた shall go to Santa Cruz. Drift: So where are heading, Bee? Bumblebee: To wherever Prime used the 宇宙 bridge, and I think this is Death Valley. Lucy: *Inside of Bumblebee* It's a big desert in California, it's lower than the sea level. Optimus Prime: *A red and blue robot who transforms into a modified truck* I am Optimus Prime, sending this message to all Autobots migrating through space. あなた are welcome to Earth and to re-join the Autobots here on our new home. Onslaught: *A grey and black robot who transforms into a SWAT vehicle* Are the Deadlocks ready yet? Lockdown: *A black and green robot who transforms into a Rally Fighter* Yes, the Deadlock clones are ready whenever あなた give the order. Wolfe: *Walking around* I haven’t been here for a while...*Sighs* I hope Lucy is alright. Wolfe: *Goes to her* Lucy? Lucy: *Looks up* Wolfe! *Hugs Wolfe* I missed you! Wolfe: I missed あなた too, Lucy. Lucy: *Looks at his left arm* What happened to your Omnitrix? a comment was made to the video: Clip "Lucy's memory" (Elfen Lied) によって cosband "Carrot Juice"
a question 追加されました: What Happened to Lucy/Kaede on the end of the Anime? a video 追加されました: Clip "Lucy's memory" (Elfen Lied) によって cosband "Carrot Juice"
What did Nana ask from Kurama(Papa) before she got in the helicopter to Kamakura to find Lucy? How to buy Lilium 音楽 Box! Don't u feel sorry about # 28?